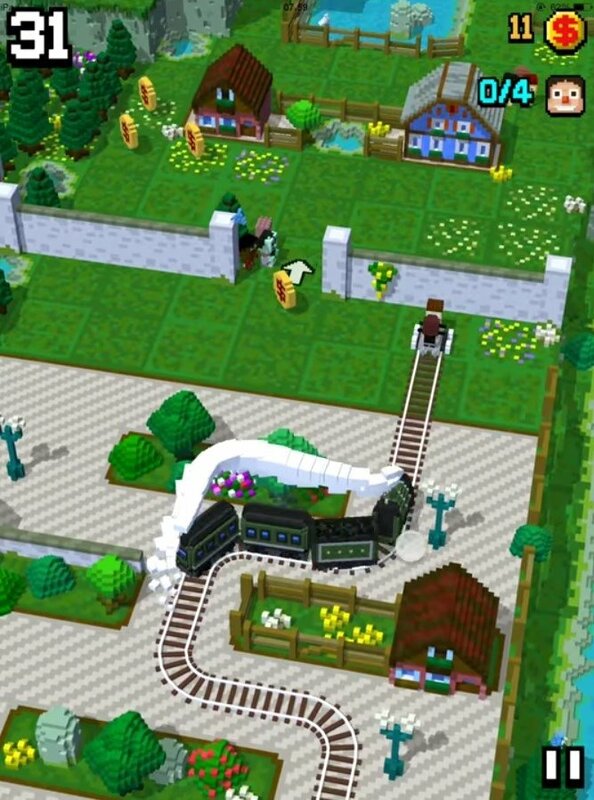 With huge pixels, Tracky Train is a fun game for Android in which we'll have to take care of laying the tracks for the train that's just behind us. And we'll have to do so avoiding all the obstacles we come across. 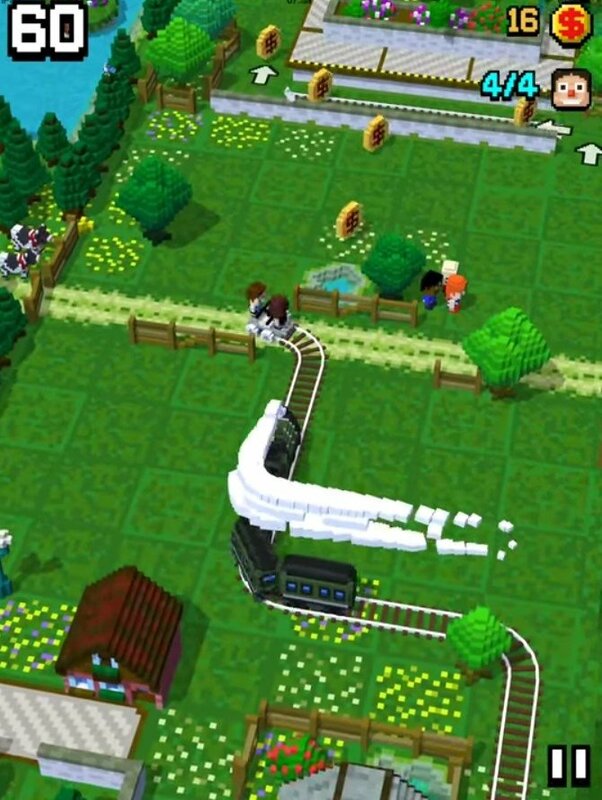 The train is speeding up behind you. That means that you've got to advance non-stop and that you've hardly got any time to think about where to place the track. 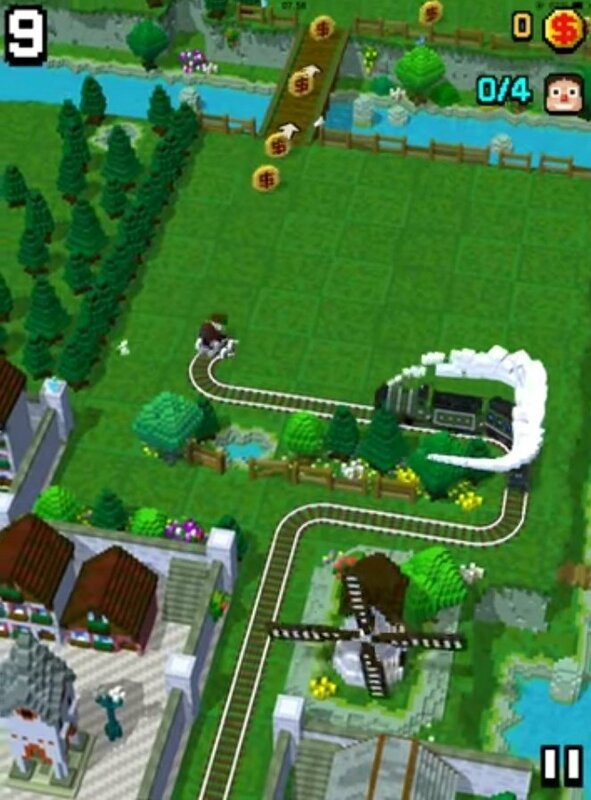 In turn, you've also got to take care of collecting the coins on your way and make sure that the train picks up and drops off the passengers at the corresponding stations. 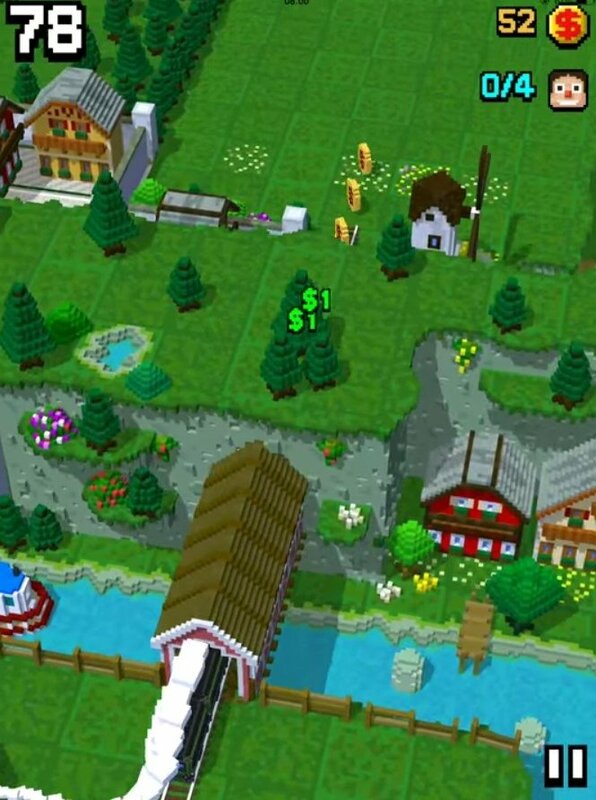 A train game for Android smartphones and tablets that reminds us of Nokia's snake. 5 different environments to be explored. 12 kinds of engines and coaches. 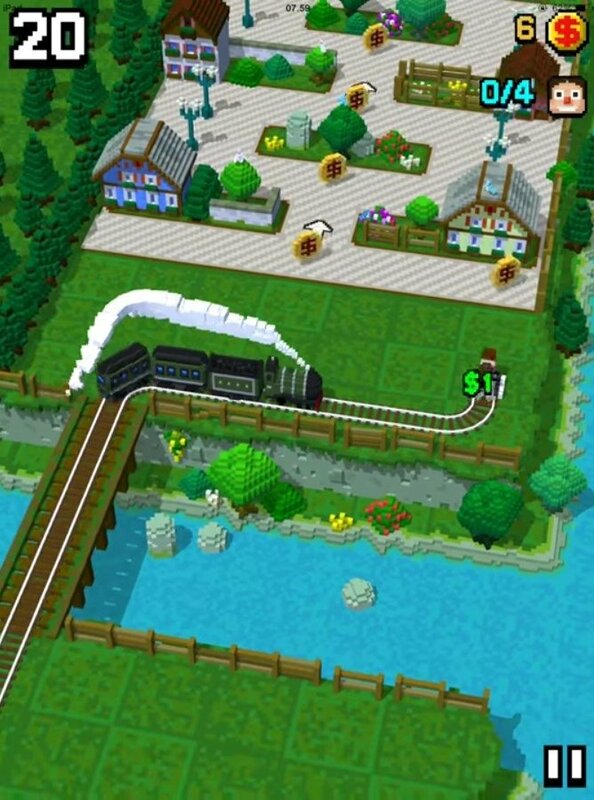 Unlock trains by collecting coins. Obtain points for picking up and dropping off passengers at their stations. Huge pixels: that's always an advantage because they're so cool.